Dear Friends of Health Point! Share this with your managers at work or, if you are a manager yourself, you'll find this information especially useful. Injuries can affect work productivity and can carry other costs including medical expenses, replacement of staff and increased health insurance to name a few. 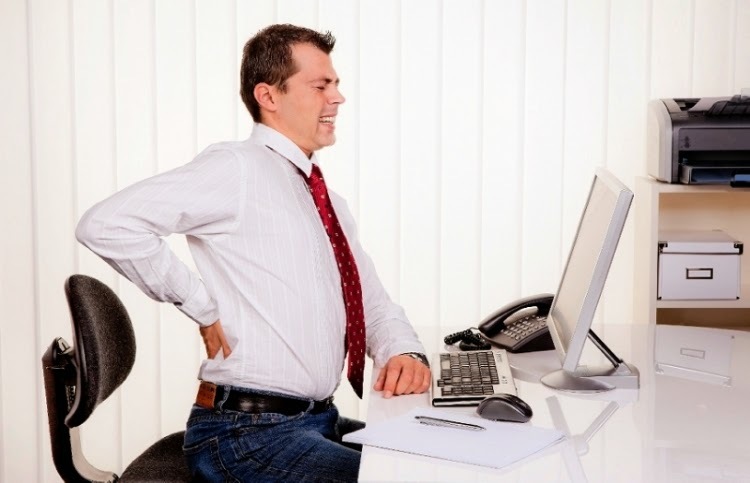 Causes of common workplace injuries can include improper manual handling or lifting techniques, poor posture or incorrect workplace set up. At Health Point Physiotherapy we are aware that people’s lives are becoming increasingly busy and as such they may not be able to drive to information sessions or dedicate the time needed to educate themselves on effective injury prevention techniques. Alternatively as a manager you may be struggling to find the time, place or person to help educate your staff on the key points of injury prevention. Health Point Physiotherapy can help! We have designed a program which can be altered to suit your workplace’s individual needs. Over two short, interactive seminars held at your very own workplace employees gain valuable insight into practical changes they can make both at home and in the workplace to decrease their risk of injury. Run by trained physiotherapists we encourage questions, include practical components and are able to offer full body assessments and even complementary follow up visits as needed. We also offer Clinical Pilates classes which will be run by us at your workplace as well as a shorter version of the full body assessment most of you had with us. For further information or to discuss your specific requirements please do not hesitate to email or call us. is not so high that's why people are choosing it more.